Learn the methodology, skills, techniques, tools and applications of Linguistic Anthropology with THE ANTHROPOLOGY OF LANGUAGE: AN INTRODUCTION TO LINGUISTIC ANTHROPOLOGY. 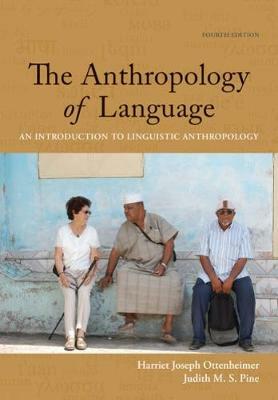 This highly readable introductory text emphasizes the kinds of intriguing questions that anthropologists ask about language. The fourth edition brings together the key areas of linguistic anthropology, addressing issues of power, race, gender and class throughout. 'In the Field' vignettes draw you into the chapter material and are culled from authors Ottenheimer and Pine's own experiences, among others. Other features--'Doing Linguistic Anthropology' and 'Cross-Language Miscommunication'--describe some of the real-life applications of concepts discussed in the text, helping you cement your understanding of the concepts and their relevance.